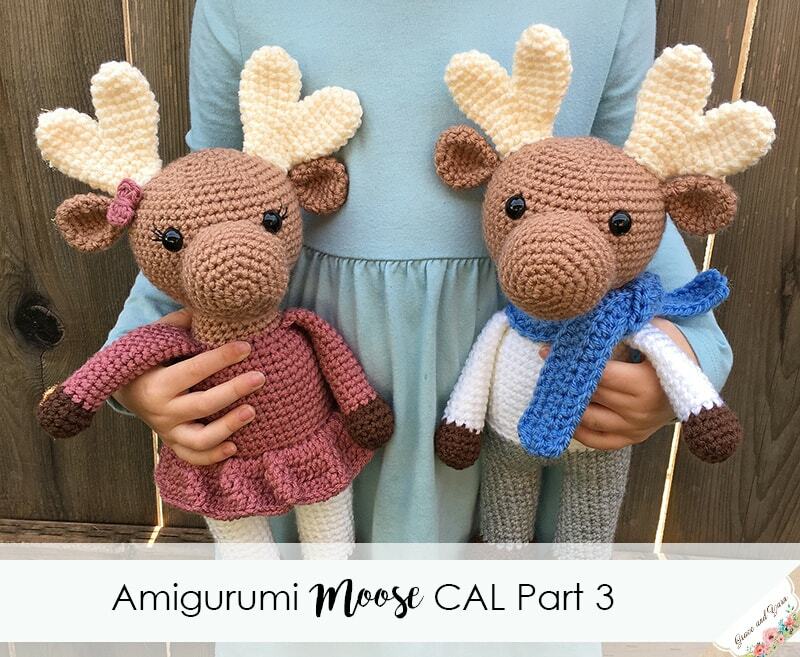 We are so close to finishing our Amigurumi Moose CAL and oh my cuteness I love seeing all of them! Today we will be making the arms, scarf for Miles, and the final assembly. While I made a scarf for Miles I think he would also be super handsome with a bow tie, like the one used in the Berry Patch Bunny pattern! If you are just joining in, it's not too late to start! 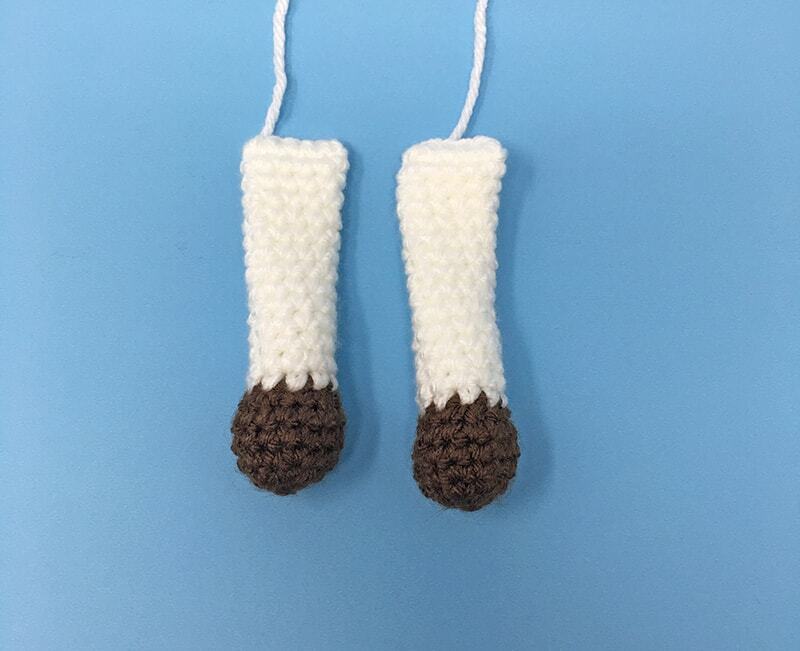 Each part will remain free here on the blog so feel free to crochet at your own pace. You can find all of the details and links to each part here! Pin Part 3 here to save for later! The full pattern is also available in an ad-free printable version in my Etsy or Ravelry shop! For part 3 we will use our 3.5mm hook for the arms. 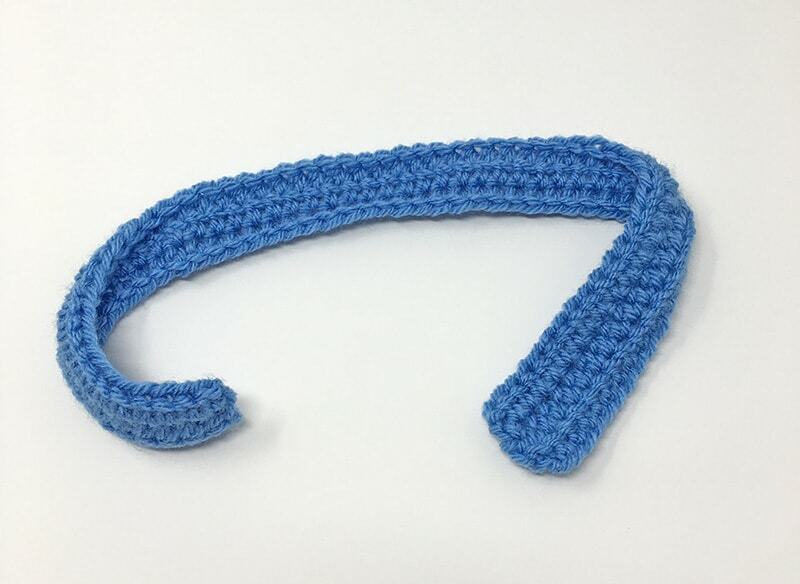 If you're making Miles or want to make a scarf for Millie we will be using our 5mm hook. At the end of round 20 pinch the arm flat and make 5 SC across the top to close, fasten off leaving a long tail for sewing. 1. Sew the head onto the body, making sure to have the facial features centered. Be sure to add stuffing as you go to keep the neck firm, this will help avoid a floppy head. 2. Next, sew the arms onto the body centered with the head at round 44. 3. If you have made a scarf, fold or tie around the neck and you are done! Woohoo! 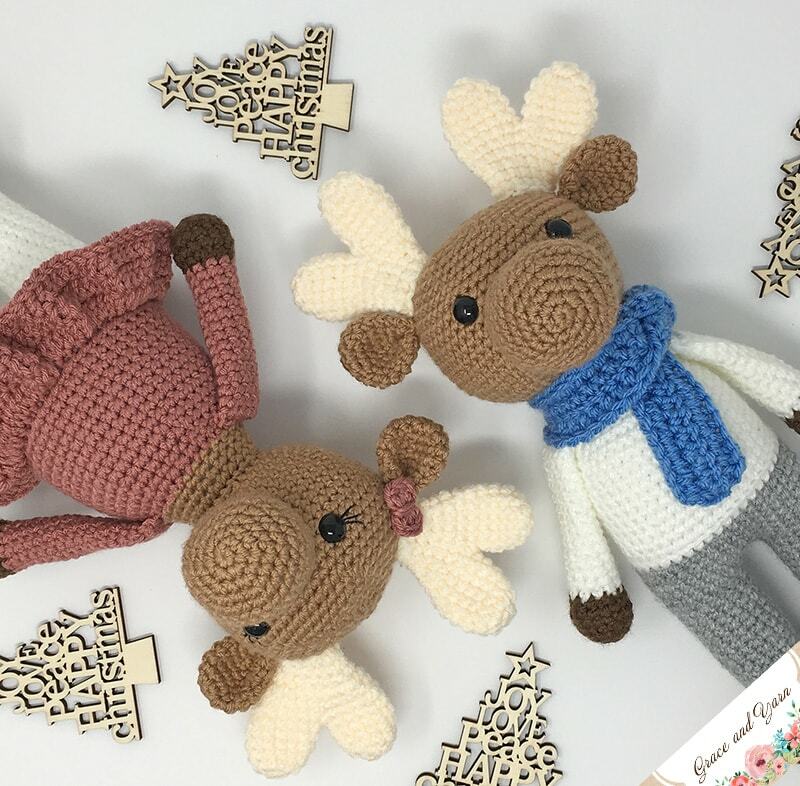 You now have a super cute moose! I want to thank you for participating in our CAL and for making it such a fun event! Will you be keeping him or her for yourself or do you plan them to be a gift? Thanks for another great CAL! I have so much fun making these. Your patterns are clear and the tips are helpful. I always learn something new with each one. Thank you for an amazing and easy pattern to follow. Thank you sooo much for this CAL!! The pictures were a lot of help. I just saw the Hippo and the biggest smile cam across my face because I know what I'm making my granddaughter for Christmas. Thank you!! !